Please note that the backup client software that we send to you comes fully configured, so that normally you will not have to make any changes in the configuration. Just install and forget! 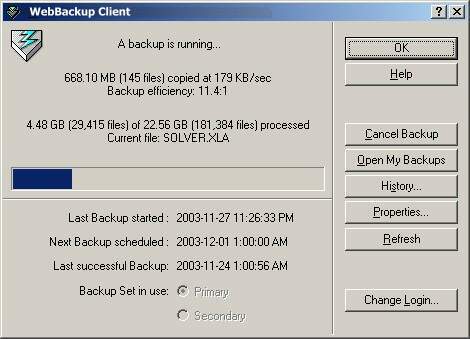 For those users that want to adjust or fine-tune their backup scenario, the software provides the necessary tools. A backup is running. 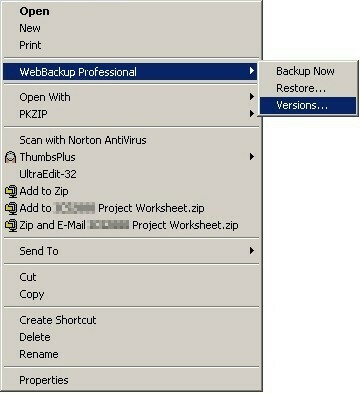 This is what the dialog looks like if you double-click the WebBackup icon in the system tray when a backup is underway. 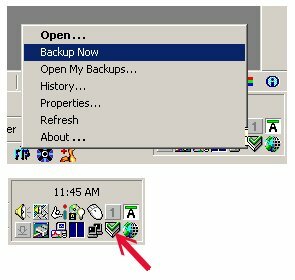 Right-click a file to back it up, restore it, or view the available versions of it. 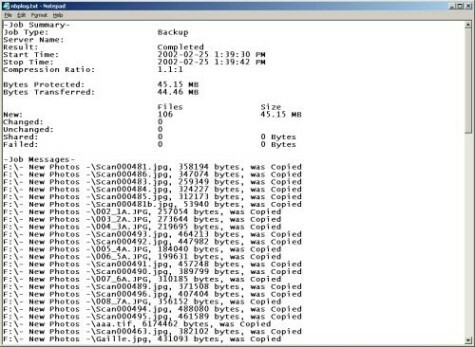 Depending on the Backup Plan, you can retain up to 5 versions of every file. Some of the options shown may not be available to you (grayed out), depending on which Backup Plan you subscribe to. 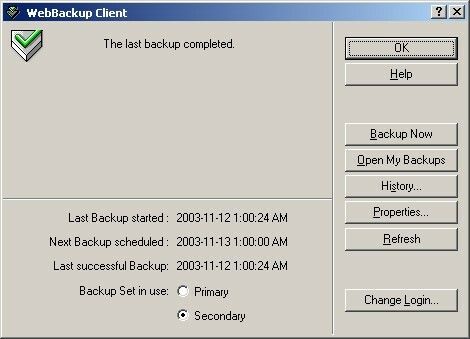 The backup client software comes preconfigured, so that in most cases you will not have to make any changes in the Properties screens, unless you wish to. CLICK HERE to view the fees for our various backup packages. CLICK HERE here to apply for a Rocky Mountain WebBackup™ account.